This tear from April's Cooking Light makes me so so happy. Every time I look at this picture, my heart fills with glee! In December of last year, I was able to shoot my friend Megan Gordon (and colleague at The Kitchn) for a national magazine. 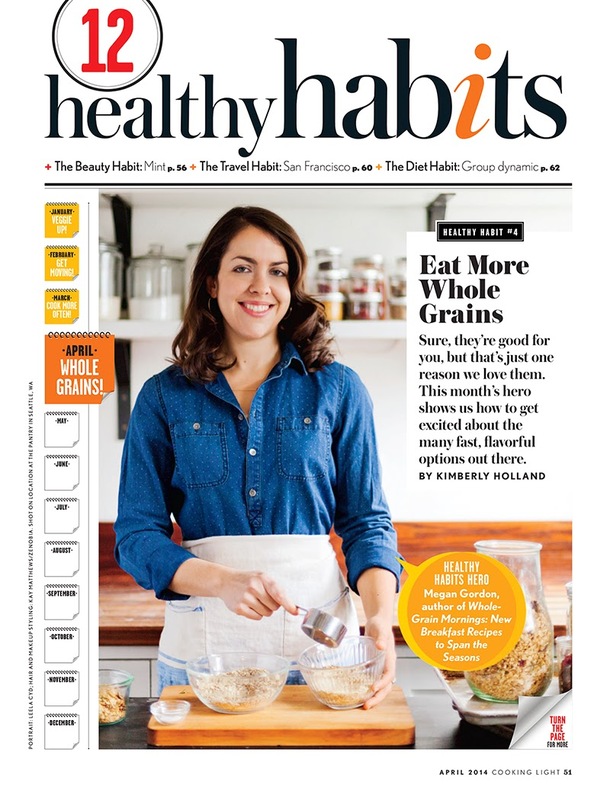 This girl is a whole grain goddess with an amazing book just published, a granola company in full swing and a wonderful recipe developer for healthy brands. And what a babe!!! If you want to cook light then 100% use an airfryer, I have lost so much weight using one. I would recommend getting one of the top branded airfryers like the Philips.